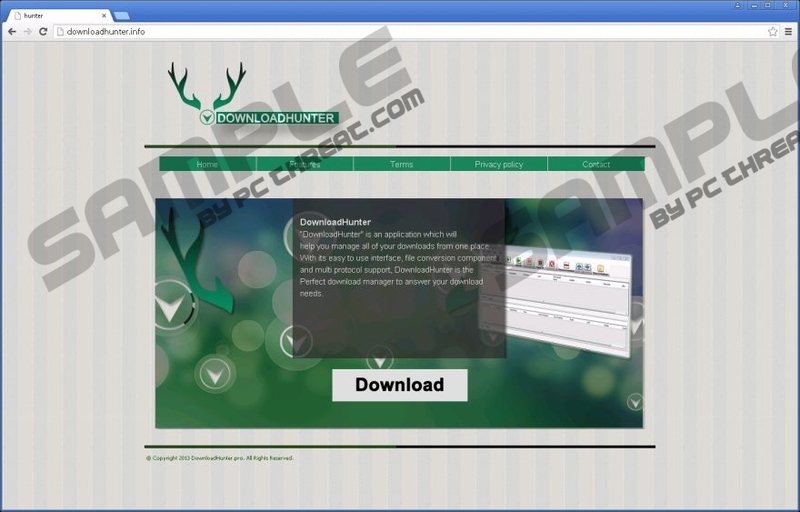 DownloadHunter is a program that is promoted on downloadhunter.info. If you open this web page and read about this program, you will find out very quickly that DownloadHunter should “help you manage all of your downloads from one place.” In addition, it will even enable you to convert different files. It might seem that this is a really useful application and you will not need to use several separate tools if you install it on the system; however, you should know that specialists working at pcthreat.com do not recommend doing that. It is because DownloadHunter is a typical advertising-supported application that is going to show ads only. These ads are really annoying. On top of that, they might even expose you to threats, so we highly recommend that you stop them from appearing on your screen. The only effective way to do that is to remove DownloadHunter from the system but, of course, you are the one who can decide what to do with it. Specialists say that DownloadHunter might enter systems without permission too. As it can change the letters of its name, users might not recognize that it is the same DownloadHunter; however, they will definitely start seeing ads. It is very likely that they will have a tag “Ads by DownloadHunter”, “Provided by DownloadHunter”, or “Brought by DownloadHunter”. Make sure that you do not click on any of those ads, and it does not matter that they look interesting and decent. It is because you might be redirected to other web pages that are not trustworthy. It is unclear where you will be taken because links embedded into ads generated by DownloadHunter might be associated with trustworthy websites and really harmful websites, so it is impossible to say which advertisement you will click on. Our specialists say that this adware program might record information about your web browsing activities too, so you should be really cautious all the time. It seems that it is possible to download DownloadHunter, so some users do that themselves; however, it is still more likely that this advertising-supported application has slithered onto your computer without your direct permission. Research has shown that this adware is distributed via InstallRex installers mainly. It travels in these installers together with LightningDownloader, oursurfing.com browser hijacker, and other threats, so it is very important that you check your system’s condition after you delete DownloadHunter. If you detect other suspicious programs on your PC, make sure that you remove them all from the system as soon as possible too. If you do not do that, they might act in an undesirable way too and cause harm to your PC. Only Internet Explorer users will be able to get rid of DownloadHunter via Control Panel. If your default browser is Google Chrome or Mozilla Firefox, you will have to delete extensions too in order to fully erase this adware. If you have never tried doing that, you should use our manual removal instructions below this article. Another way to erase this advertising-supported application is to scan the system with a reputable malware remover. Specialists working at pcthreat.com recommend using SpyHunter. Find the suspicious application on the list and select it. Access the Tools menu and click Add-ons. Select the extension and erase it or disable it. Select the extension that belongs to adware. Quick & tested solution for DownloadHunter removal.